With the aim to create a worldwide community of bibliophiles who can mutually share their libraries and thoughts while reading the books, Swapeer is coming up with several offline book swapping events that are going to be themed as per genres and tastes. 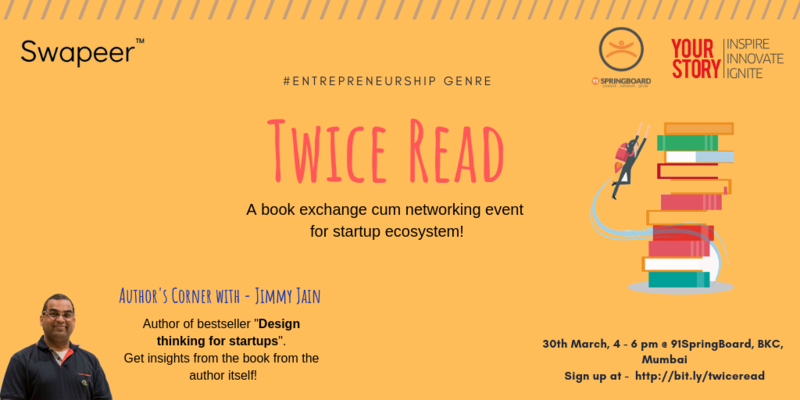 It's a book swapping event for the startup ecosystem. They will be having 2 authors who will speak about their books for 15 mins and 2 speakers who will speak about improving reading habits and productive reading for entrepreneurs and CEOs with busy schedules.